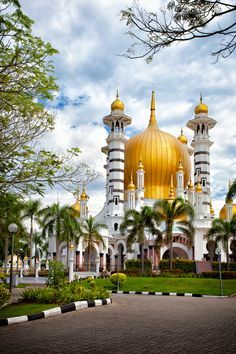 Located beside the royal palace in Kuala Kangsar, this mosque is famously known as the Perak Royal Mosque. Standing tall for more than 100 years Masjid Ubudiah, was instructed to be built by Sultan Idris Murshidul Azam Shah, the 28th Sultan of Perak. The building of the mosque took longer than expected. One of the delays include an interesting part of history that says the mosque was damaged by 2 of the Sultan’s elephants which were fighting. 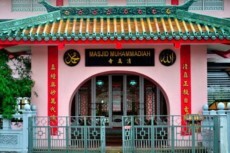 Any Muslim can enter the mosque. Other tourist can view the golden beauty from outside.